This Dance Crew Just Busted out a sick Naruto Routine at a Competition! We just got our Chakras in a knot over this explosive Naruto-themed dance routine from O-Dog Dance crew! 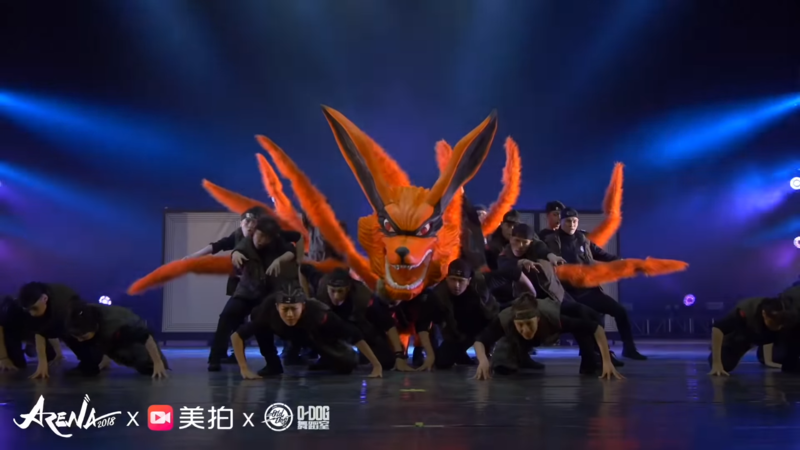 O-Dog Dance Crew, based in Hunan China, just busted out this awesome Naruto number for the Arena 2018 dance competition! The routine features dance moves inspired by the hit ninja anime, often combining fighting strikes and jutsu hand movements to amazing effect. It also manages to feature several familiar characters and nods to events in the series in the routine’s 7 minute runtime. Expect to see the Kyuubi, Naruto, Sasuke and Rock Lee as well as a few other surprises that we won’t spoil here.